The Treyarch Zombies tradition continues in Advanced Warfare with another secret song squirreled away on the Atlas-based undead-infested Carrier map included in the Supremacy DLC pack. Instead of tracking down teddy bears, the quartet of intrepid Hollywood heroes must uncover three shark toys in the naval environment while dodging sci-fi enhanced zombie hordes. This is just the first of several secrets hidden on Carrier, so if you're hungry for more Call of Duty Easter eggs, keep watching The Escapist. 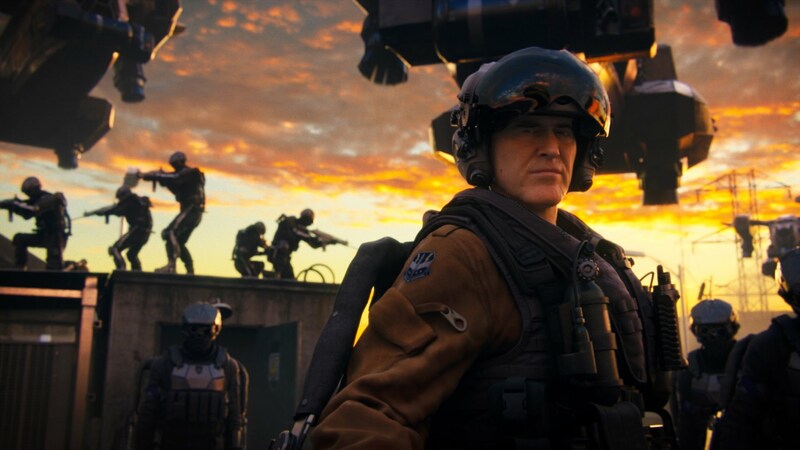 See what's so tough about unlocking Exo Zombies endings -- check out our full "Game Over, Man!" Advanced Warfare Easter Egg Guide, with step-by-step breakdowns on each piece of the puzzle. To hear the secret song Easter egg, one of the four survivors must activate three hidden shark models. They can be activated in any order. To activate shark toys, press [X / Square / F] -- there is no prompt, so you'll have to get close to each and press the corresponding button depending on your system. A confirmation noise will play once activated. Shark Location #1: The first shark is found in the hangar starting room. Take the stairs up and turn right to enter a locker room. Look on the shelf above Captain DJ's locker. Shark Location #2: Travel to the Gun Deck from the Hangar. When entering the Gun Deck area from the Hangar (through the door marked "HANGAR") immediately turn left. There's a dark corner with metal bracing in the corner. On the lowest brace, you'll find the second shark. Shark Location #3: Go to the Lift room from the Armory. Jump onto the aquariums and look on narrow space in the right corner. At about eye-level, to the right of the cable fittings you can spot the third shark toy. That's all it takes to activate the secret orchestral song. Enjoy, and watch this space as we update on the massive secret objective hidden in Carrier.